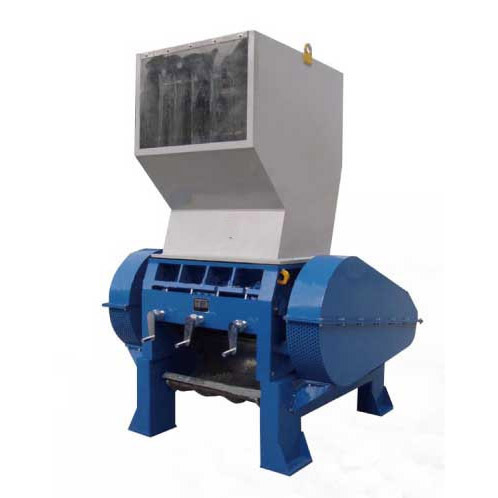 PC series plastic crusher adopts a firm welded steel structure. 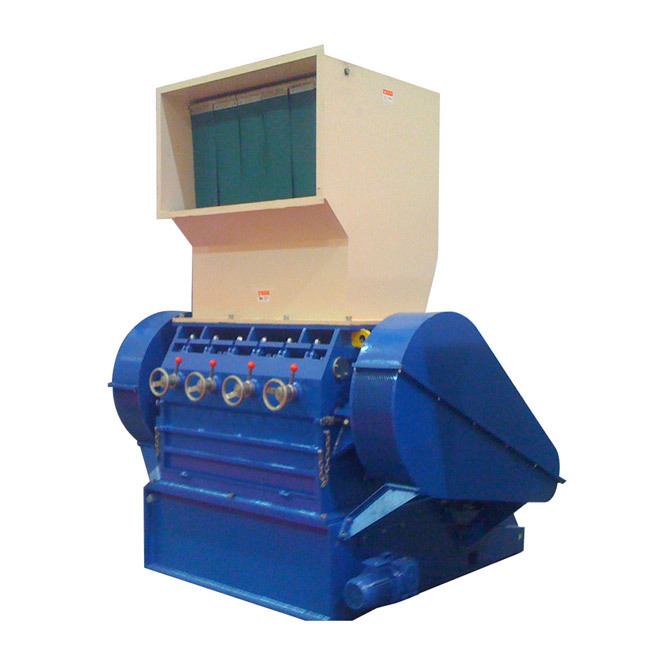 It can crush a wide variety of materials and can meet the requirements of waste recycling in different industries. 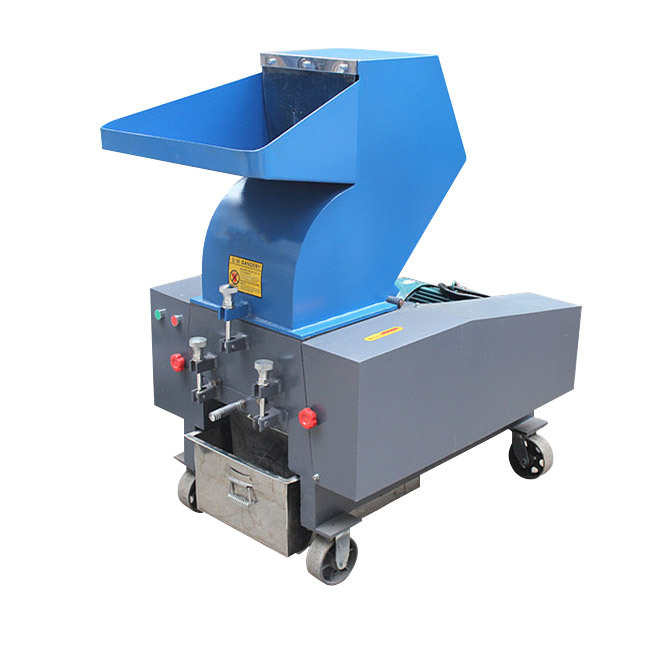 It is suitable for woven bags, films, nozzles, plastic heads, PET bottles, pipes and sheets, rubber, large solid materials and waste generated during injection molding, the overall welded steel structure, designed to meet the demanding requirements and materials that are not easily broken, is a general-purpose recycling equipment. 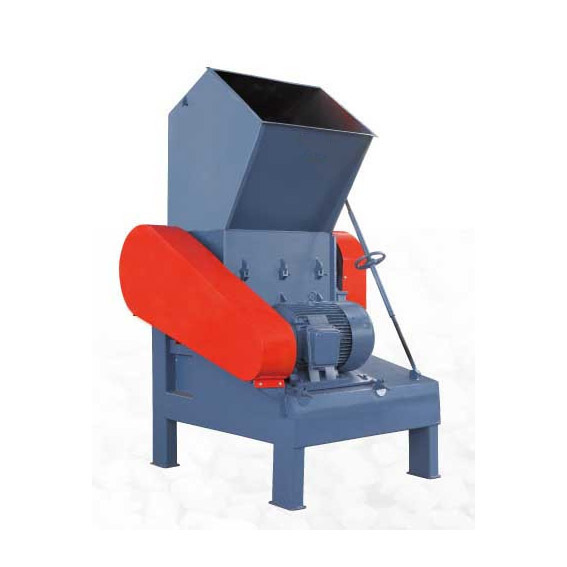 PC series plastic crusher adopts a firm welded steel structure. 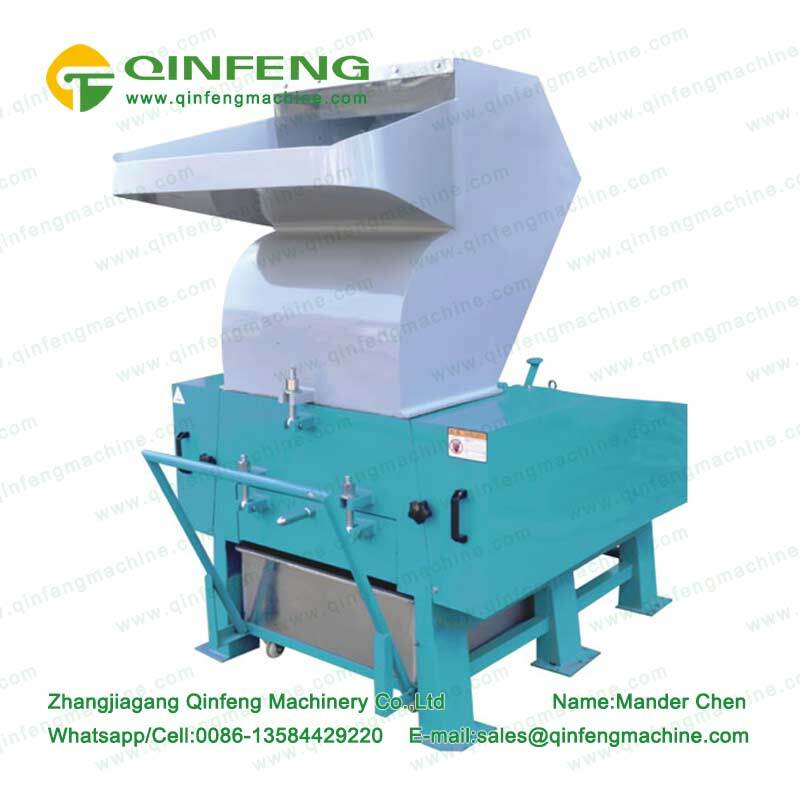 Plastic crusher can crush a wide variety of materials and can meet the requirements of waste recycling in different industries. 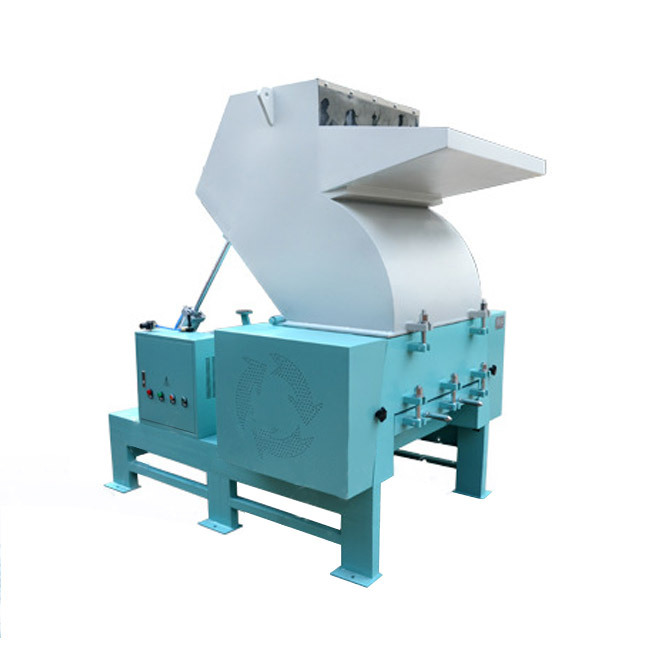 It is suitable for woven bags, films, nozzles, plastic heads, PET bottles, pipes and sheets, rubber, large solid materials and waste generated during injection molding, the overall welded steel structure, designed to meet the demanding requirements and materials that are not easily broken, is a general-purpose recycling equipment. Assemble large rotor bearings, tool holders and shafts. The standard V-cut technology facilitates improved cutting recovery efficiency and reduces dust content in recycled materials. 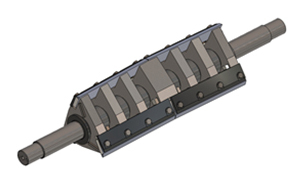 The deflection wedge, a detachable attachment with a third knife, meets different breaking requirements by simple disassembly. Other standard equipment also includes an external bearing to reduce the risk of contaminants entering the bearing. The customer can select the appropriate roll structure according to the material that needs to be broken. Highly economically applicable, widely used for the crushing of various materials of plastic waste. Crusher knife roll mechanical fixing: When the box is opened, the knife roll is fixed by the bolt to prevent the knife roll from rotating and causing injury to the personnel. Screen: According to the customer’s demand for discharge, screens with different apertures and rows can be selected. Screen locking device: Locking the screen through a plurality of locking bolts, easy to operate, firm and reliable. Spiral discharge device: the broken material is automatically discharged by spiral conveying to ensure the continuity of production. Hydraulic cutting device: through the hydraulic control hopper and the opening and closing of the box, safe and stable. Soundproof cover: It can effectively isolate the noise radiated from the machine during operation. Bearing seat: The bearing is external, effectively avoiding dust entering the bearing and prolonging the service life. Feed hopper: enhanced design, solid and durable. 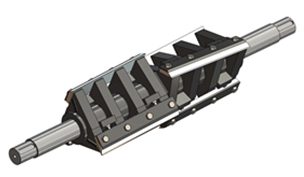 Flexible selection of equipment knife rolls for material characteristics, enhancing crushing effect. Front Herringbone Knife Roller: The gap between the blade and the blade is not large. It is suitable for crushing harder material/pipe/thick wall material and thick sheet. Rear Herringbone Knife Roller: The gap between the blades of the knife roll is large, which can effectively reduce the cutting impact force and is suitable for crushing hollow materials such as bottles/pipes. 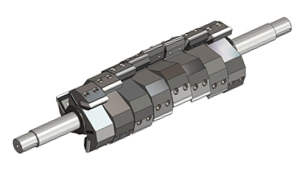 Step knife roller: The knife roller adopts a solid knife body structure, which is suitable for crushing extremely hard materials, such as rubber head/thick wall pipe/thick plate. 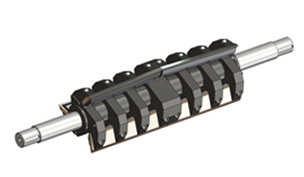 Bottle knife blade: This knife roller uses multiple sets of rear-mounted herringbone knife rollers that are offset by a certain angle to reduce the cutting impact force and is suitable for crushing.